The new Country of Origin (Food Labelling) Information Standard 2016 is mandatory from 1 July 2018. The effect of this Information Standard in combination with the Trans-Tasman Mutual Recognition Agreement could enhance a competitive trade advantage for New Zealand food companies over Australian companies globally. The new Country of Origin (Food Labelling) Information Standard (the CoOL Information Standard) commenced on 1 July 2016, with a transition period of two years, and is mandatory from 1 July 2018. Formerly, food products sold in Australia needed to comply with the mandatory Country of Origin labelling requirements set out in Standard 1.2.11 of the Australia New Zealand Food Standards Code (Food Standards Code). New Zealand excluded itself from Standard 1.2.11. This article notes that the CoOL Information Standard is an Australian legislative instrument that is not even part of the bi-national Australia New Zealand Food Standards Code. The CoOL Information Standard applies to food sold in retail in Australia, packaged food for sale by wholesalers, and many unpackaged foods. The main change that the CoOL Information Standard implements is that the great majority of imported packaged foods are mandated to have a statement of their country of origin delineated in a box, on the label. 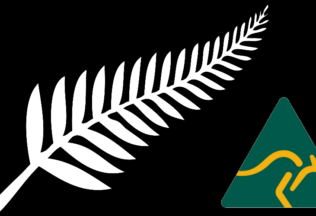 The Trans-Tasman Mutual Recognition Agreement (TTMRA), whilst not an actual treaty, is equivalent to a free trade agreement between the Commonwealth and States and Territories of Australia, and New Zealand. The main principle of the TTMRA is that goods legally sold in one country can be sold in the other. This principle operates regardless of different standards or other sale-related regulatory requirements between New Zealand and Australia. The CoOL Information Standard does not operate as a mandatory requirement for New Zealand food companies even if the products made by the New Zealand company in New Zealand are being sold in Australia. Of note, New Zealand does not itself have country of origin labelling requirements. The effect of this is that New Zealand products may be able to make statements on their labels without going through more laborious labelling requirements that might cause difficulties for Australian food companies. Do New Zealand products have a competitive advantage? A New Zealand company does not have the kangaroo logo under any New Zealand labelling law or the ability to use the kangaroo logo voluntarily for any product made in New Zealand. However, one should bear in mind that the reputation of New Zealand for food products manufactured in New Zealand is a strongly positive one. Hence, many products of New Zealand origin is perceived to be very attractive to global food buyers (especially in Asian markets) as being clean, high quality, safe food products that are premium products no less attractive than any product made in Australia. Moreover, the NZ dollar is cheaper than the Australian dollar, but also the extra compliance cost of the mandatory Australian Country of Origin labelling system or the inability of many Australian products to qualify for the kangaroo logo under the CoOL Information Standard may well result in some Australian food companies deciding to shift some of their production lines to New Zealand. This is a means to circumvent the technical problems that have been imposed on Australian food manufacturers and marketers by the bureaucratic interpretations under the CoOL Information Standard. Under New Zealand law, any New Zealand country of origin claims are permitted but are voluntary. New Zealand has never made country of origin labelling mandatory. If a New Zealand company chooses to emphasize the New Zealand origin of its product, this is because of a belief in the marketplace that the claim can attract a price premium. There are no hassles to deal with such as faced by an Australian company being required to prove “substantial transformation” of its product in Australia to be eligible to identify the Australian-ness by a kangaroo on pack. The New Zealanders do not seem worried. They know that they can trade off the “clean, green” reputation of New Zealand food products without having to meet the technical burdens that are imposed on Australian companies by the CoOL Information Standard applicable to products that are manufactured in Australia. The upcoming FoodLegal symposium will specifically address the food marketing opportunities of using new traceability technologies and intellectual property to develop, protect and maintain brand integrity and reputation for food products in Australia and overseas. The new Intellectual Property opportunities in provenance and origin brands rather than relying on a kangaroo logo will also be addressed. Register HERE now to attend the FoodLegal’s Food Fraud symposium. This article was original published in the FoodLegal Bulletin.